Abbas says if PA had no more than 20-30 million shekels – the cost of monthly stipends to terrorist families - it would still pay them. 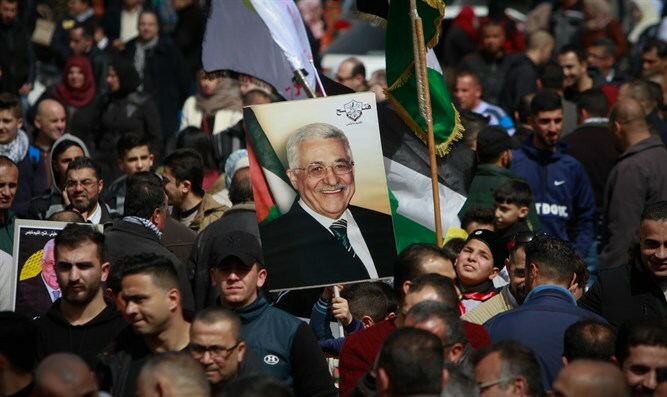 Palestinian Authority President Mahmoud Abbas said in a speech last week on PA TV (Palestinian Authority) that Israel has been taking a three-percent cut of customs and taxes that belong to the PA because it controls the ports and borders, reports Middle East Media Research Institute (MEMRI). Abbas was addressing a delegation of U.S. Congressmen and the J-Street organization. He said that since the PA pays the families of "martyrs," prisoners, and wounded people, Israel has decided to deduct the sum of the stipends from the taxes it has been transferring to the PA. He then said: "We have decided to refuse to receive all the tax funds [Israel owes us]. We don't want it. Let them keep it." He added that if the PA had no more than 20-30 million shekels – which he said is how much the monthly stipends to the families cost - it would still pay that sum to them.